Fellow humans. Welcome to Part 2 of a 1200-part monthly blog series, where I’ll cover BioWare’s evolution from videogame studio to post-human AI hivemind. 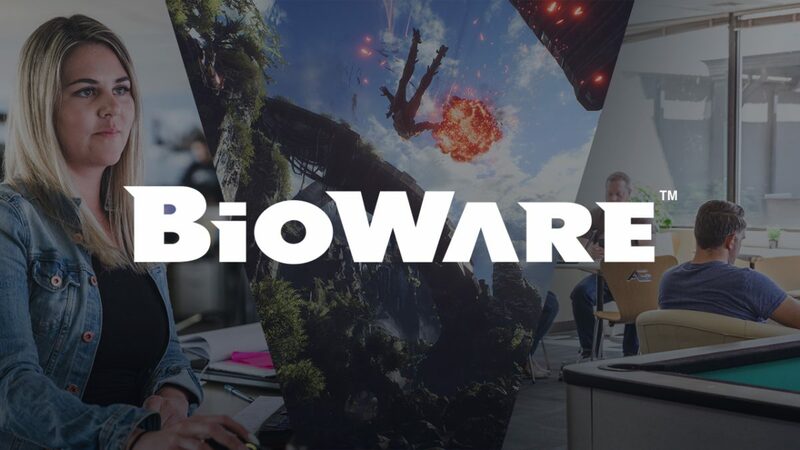 Today I want to talk about our vision for BioWare. Videogames are a unique medium. The only thing that stays the same is that they are constantly evolving. Many of the things we love about games now were not possible a few years ago. And that’s one of the hardest things about making games—continuing to innovate and evolve, while staying true to expectations players have from previous experiences. Each word of this mission is carefully chosen. For Example, we believe what we do is first and foremost about creating worlds. Beyond just individual games, we try to create entire worlds that players can really live in, which span many games and media, as well as fan-created work like art, fiction, and cosplay. Creating worlds along with our player community, and seeing them take on a life of their own, is probably the most rewarding part of what we do. Companionship means that our stories are always presented as shared experiences. You’re not a solitary character walking around by yourself—in a BioWare game you’re always adventuring with a group of friends. Sometimes those friends are other players like in Neverwinter Nights, and Star Wars: The Old Republic. Sometimes they are fictional characters, like in Mass Effect and Dragon Age. However we design it, we always want to capture the special feeling of being on a journey with memorable companions. As a player, I worry about these things too—which brings us to the last line of our mission: become the hero of your story. In a BioWare game, you should feel like the story is about you. You create your own character, you decide what happens next, and you become the hero. I think the reason people are concerned about whether these things are possible in a multiplayer game is because it just hasn’t been solved well before. With Anthem we’re taking this problem head-on and structuring the entire game design to provide a specific solution for this. We’ll be sharing details on how it works very soon. We think it creates a unique experience where you have control over your own story, but your story is set in an ever-changing multiplayer world. And yes, even though Anthem is meant to bring out the best parts of playing as part of an online community, you can choose to play through the story with only your friends, or even on your own. It’s true—we’re trying something really different here. Anthem represents one way to deliver innovation and new experiences in the spirit of our mission. We also have teams envisioning future BioWare games, and they’re designing approaches that are different from Anthem—including one that’s very Dragon Age. As we try new things, I hope that you’ll come on the journey with us, and continue asking questions that will help shape Anthem into something we’ll all love to play. In a few weeks, we will be showing Anthem live to fans at EA PLAY in Hollywood and will have lots more details to share. The team is working super hard to get ready, and I can’t wait to hear what you think!